If a parent needs to enforce child support payments in Vermont against a parent who is not paying child support as ordered, he or she may be able to contact the Office of Child Support. The Office of Child Support may be able to contact the other parent and, if warranted, automatically deduct funds from their weekly, bi-weekly or monthly wages. 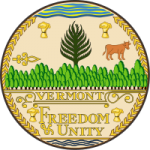 In Vermont, a parent is required to pay child support as set forth in the child support order, even if the child support order was issued in another state. Child support orders are enforced across state lines by the Uniform Interstate Family Support Act. Step 1 – Download the form (Adobe PDF). Did you ever receive child support services in another state? Did you ever get public assistance or Medicaid in another state? Parents married at time of birth? Is there any reason the non-custodial parent cannot pay child support (e.g., is in jail or has a disability)? Step 6: Fill out the electronic payment authorization and sign and date.